I haven’t been to Disney World since I was eight, but this year I was fortunate enough to go to South by Southwest (SXSW), which I have now dubbed “Disneyland for Adults.” When I wasn’t busy presenting with the rest of the fierce AMP team for our participation in YouTube’s SXSW Creative Agency Challenge, or being distracted by the puppies at the Amazon Prime activation and the endless CBD-related samples at the wellness expo, I promise I was putting on my Brand Strategist hat and attending a wealth of panels and keynotes with my colleague and SXSW partner-in-crime, Andie, AMP’s Director of Business Development. The best part was listening to speakers with such diversity in perspective, and realizing that all of these accomplished individuals offered a unique method for building and strengthening a brand tribe: through social impact, play, internal creativity, and centering the customer experience around a singular emotional benefit. While we’ve been hearing about “brand community” for some time, “brand tribe” is a relatively new term in Marketing, yet it’s important because it denotes a much deeper relationship between brand and customer. 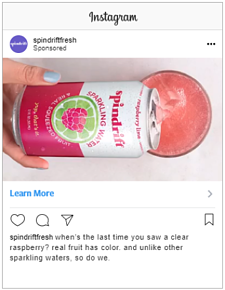 While a member of a brand community need only participate on occasion, perhaps via a purchase or a ‘like’ on Instagram, a member of a brand tribe wholly believes in that brand. Connection with that brand becomes an outward expression of one’s identity to the rest of the world. Brand tribe members wear merchandise, create user-generated Social content, join loyalty programs, go on auto-pay plans, and, perhaps most importantly, recruit others to join the tribe too. 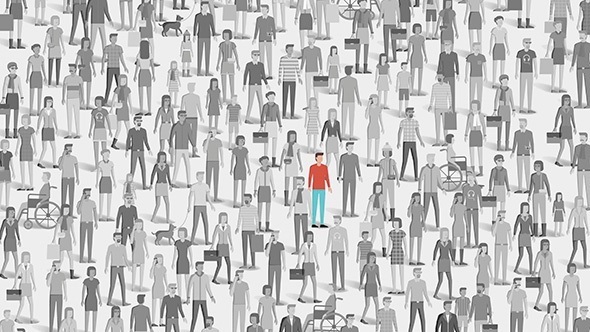 Study after study has proven that in 2019, consumers want to back brands that share their values and create a positive change in the world. That being said, brands can’t talk at customers about the good they’re doing; they need to work with their customers to spread good together. As panelists during How Brands Can Engage the Social Impact Generation outlined, social impact must be participatory. By rallying around causes that your brand and your customers share a passion for, and then providing a platform for your customers to become ambassadors for the cause, your social impact becomes experiential and your brand tribe becomes united around a higher purpose. All work and no play makes a brand’s tribe very dull. 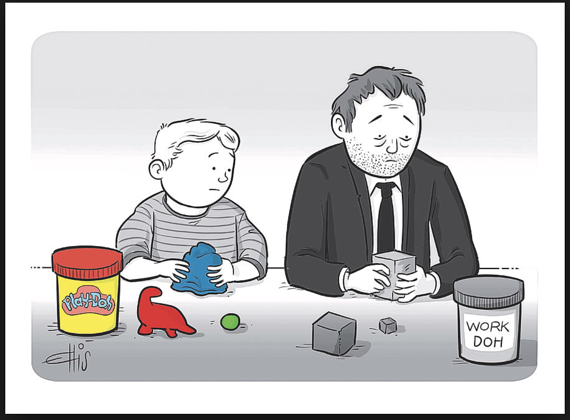 IBM’s Dr. John Cohn reminded us of that in his session, Prioritizing Play in an Automated Age, where he outlined how making room to play can smooth the bumps during life’s tough disruptions. During the talk, Dr. Cohn told us about play projects of his, like an 18-foot tall animatronic pumpkin man as well as an art car built for Burning Man. He recounted how droves of people, some of whom then became his fellow creators, were drawn to his projects while they were being built and shown off to the world. In other words, play can help you find your brand tribe, in a very “if you build it, they will come” kind of way. Through your bravery to look silly and/or fail, and your willingness to surrender to wonder for no reason other through indulging curiosity, your brand will show its authenticity and customers who identity a similar raison d’être in themselves will be drawn to you naturally. Sure, you might be saying, A wacky scientist from IBM can have a little fun, but how can brands? Let’s not forget this Southwest flight attendant who transformed the safety demonstration into a burlesque performance, or KFC apologizing for running out of chicken with an on-the-nose newspaper ad featuring its carton respelt as FCK. It is often hard for brands to prioritize looking inward, to their own company culture and values, when there are always so many externally-focused tasks to complete. The beloved bakery Milk Bar, however, is proof that the spirit of brands that cultivate internal creativity will always shine through and be felt externally by customers. 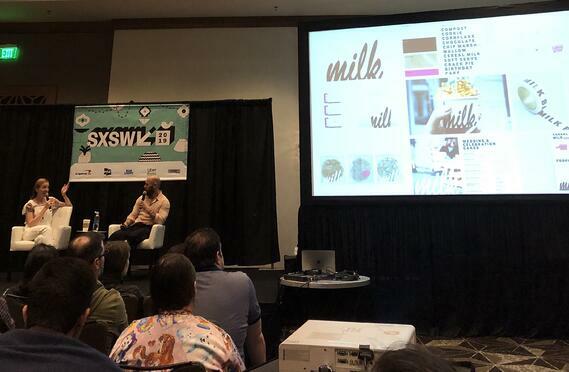 During Innovation in Pursuit of the Unexpected, Christina Tosi, cookie-baker extraordinaire and company founder, along with her agency partner, Michael Greenblatt of REDSCOUT, reflected on how the Milk Bar brand toolkit is a toolkit in the truest sense of the word. Through the codified system of the color palette, off-kilter logo placement, branded pastry box tape, and decorative stamps, Milk Bar employees at locations around the country are encouraged to leverage their creativity to use the tools as they’d wish. For example, the Milk Bar team suggested designing the delivery truck to look like it was covered in the Milk Bar tape; others use the logo and colors to bedazzle denim jackets and beanies that they wear to work. This DIY spirit has created a tribe of Milk Bar devotees. Because employees are welcome to live and breathe the brand uniquely, customers also view the brand as a living and breathing thing to interact with–for example by holding up a cup of “cereal milk” soft serve to a pretty background for the perfect Instagram, or by decorating their laptop in Milk Bar stickers. Lastly, it’s easy to get bogged down in lifting brand metrics. Yet during Following the Feeling: Creating Brand Value, Columbia University lecturer Kai Wright argues that the most important brand metric is how you make others feel. After all, Wright noted, humans make 95% of our daily decisions on “auto-pilot,” rather than weighing pros and cons in order to choose the best and most rational choice, with emotions influencing nearly 70% of our decision-making. If a customer can rely on your brand not just for great products or services, but for a guaranteed emotional experience, your brand tribe is then powered by the strength of shared human connection. A core tenant of our business at AMP Agency is that we strive to generate strategy that is creative, and creative that is strategic. But any marketing agency would agree that it can be challenging for the Strategy team to continually build briefs that present a unique POV and inspire the Creative team; on the other hand, it can sometimes be a puzzle for Creative to generate ideas that are both breakthrough in the marketplace and guaranteed to resonate with our audiences. This winter our Strategy and Creative teams were given the opportunity to push those bounds and work on a project, leveraging audience insights, that has made us into even more creative and thoughtful storytellers. Not only that, it’s revitalized the way our teams collaborate together. We were selected to participate in the 2019 iteration of YouTube's South by Southwest (SXSW) Creative Agency Challenge. We were excited to learn the theme was "Signals and Storytelling." This theme pushed us to look beyond audience demographics and think meaningfully about consumers’ interests and intent signals based on how they’re using Google & YouTube--and more importantly how these insights could more strategically inform our creative storytelling. During the Challenge kick-off at YouTube NYC, we discussed how it’s no longer acceptable to fill the Target Audience section of a creative brief with simple, demographic information. The comical example that Google gave, and that stuck with us, is that by writing a demographic-led brief like, Aged 65+, British, high net worth, dog lover, we would unknowingly be creating content that tailored to both Prince Charles and Ozzy Osbourne! In addition, this year’s Challenge looked to harness the participating agencies’ efforts towards a greater good. YouTube partnered with the Ad Council, and we were asked to create two pieces of skippable YouTube video content for a select cause-based organization. AMP was assigned to work with She Can STEM. Our goal and our challenge was to use insights-based, creative storytelling to empower parents to encourage an interest in STEM. More specifically, we wanted to understand and reach the audiences of Bargain Hunter parents and Technophile parents, who we found, through working with Google, showed strong affinity for the cause. Below, our Senior Strategist, Jen Herbert, and Creative Director, James Hough, reflect on their insights, the process, and experience. Jen: When analysing interest and intent signals, what came as the biggest surprise was that bargain hunter parents like watching quirky videos featuring silly experimentation around the house, such as Making Slime and the Cheese Ball Bath Challenge. To resonate, I thus wanted to recognize their lives are full of creative, scrappy, playful discovery, and how through this they established a foundation that could translate to a career in STEM. For Technophile Parents, I saw that they are often shopping for gaming systems, but also interested in sports, TV shows, movies and news articles. So, to cater our messaging to Technophile Parents, I wanted to acknowledge their lives as multi-dimensional and well-rounded. Based on the strategic insights in our creative brief, we presented four concepts and eight scripts to the Ad Council after sharing initial thoughts with Google. After the Ad Council chose a direction we storyboarded, found a director (Max Esposito), found locations, cast and shot– all within about a week. I think that the financial and time constraints coupled with the freedom to go out and create without check-in’s made for something special. While each of our spots are aimed at a different audience, they shared the same goal. In each of the stories we see relatable and tangible ways a parent can encourage their daughter at the right time to keep going. Instead of pushing future-focused images of a marine biology or coding career, we centered the seemingly minor moments of everyday life that could have a big impact on a girl’s interest, like a trip to the aquarium with mom or the gift of a tablet from dad. Hey! 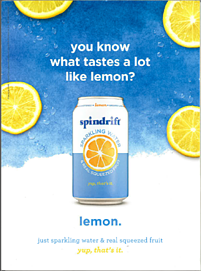 We’re AMP agency, and we like to do things a little differently. For example, this past year our holidays started in October. Not because we haven’t mastered the art of calendar reading, but because we felt our clients deserved a better brand of holiday gift. Something a cut above your average season’s greetings. It took a lot of thought, a little elbow grease, and a mild amount of destruction, but in the end, we’re extremely proud of the result. It all began with fruitful brainstorming and a swirl of over sixty ideas. Eventually, we landed on one that felt right – destroying holiday fruitcakes, everyone’s least favorite gift. At its core, our idea centered on using fruitcakes as a catch-all symbol for holiday thoughtlessness. By filming ourselves destroying them, we hoped to humorously convey our very serious commitment to providing decidedly thoughtful work and gifts to our client base. 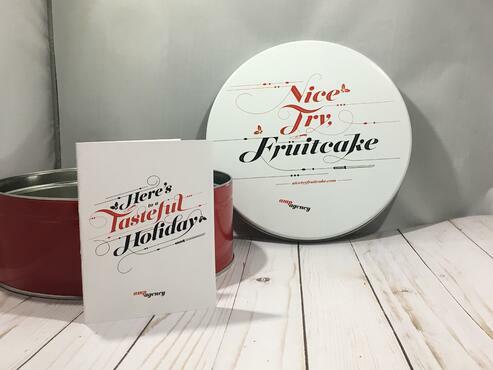 Along with the video, clients received a custom-designed fruitcake tin stuffed with a delicious assortment of holiday treats. 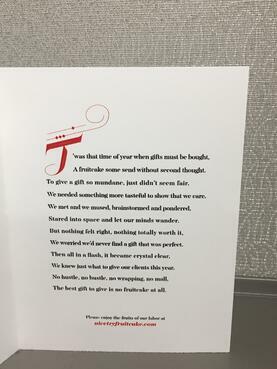 For context, the accompanying card included a holiday poem explaining the nature of our gift. For the tin, microsite and card, we crafted our modern-take on classic holiday fonts, while incorporating our AMP’s orange and black brand colors. Initially, we wanted to populate a custom-designed microsite with a series of six to ten second videos, each conveying a different form of destruction, and each involving different members of our office - an AMP fruitcake brigade, if you will. However, as we storyboarded and got set to film, we decided to ditch the employee-focus and hone in on the actual destruction with one cinematic video. When it came to concepting methods for doing away with fruitcakes, we really got into it – maybe too into it. We tossed around what could be seen in the video: slapping a cake into a meat grinder, flattening a cake with a badass SUV, and breaking one open with a bat. From slingshots to samurai swords, we sorted through it all until we landed on the perfect set of destruction methods. With our storyboards drawn, props ordered, and our video department locked-and-loaded, we took to the streets of Boston and filmed all of our fruitcake destruction. In total, it took about two and a half days to film. We not only shot what we had storyboarded, but a multitude of new ideas, angles, and transition shots as they presented themselves. One pivot in particular really brought this concept to fruition. Even after we shifted from an employee-focused approach to one honing in exclusively on the destruction methodologies, we still needed someone to actually put these things into motion. We asked a member of our web development team, Gabe, to take the role, and he agreed with great enthusiasm. We wrote the scripts so that he would barely be seen and the burden of acting would be minimized. But after the first day of filming, we realized we had a pretty great actor in our midst, and the video as a whole would be elevated by making him the focus. This was no longer an aesthetically pleasing montage of destruction, but the tale of one man’s maniacal quest to deliver AMP’s clients the best holiday gift possible. We sought to not only wish our clients a Happy Holiday, but also flex our creative muscles. A custom microsite and a video provided the perfect mediums to showcase many facets of our creative capabilities in quick and engaging formats. Combined with our custom-designed holiday cards and tins, we sent our clients into the holiday season with something to have a laugh at and some tasty treats to enjoy. Getting to destroy fruitcakes along the way was just the icing on the cake. Please enjoy the fruits of our labor at www.nicetryfruitcake.com and check out our previous holiday cards. Over the past several years, we’ve operated in a golden age of data. Between first-, second- and third-party sources, marketers have leveraged this information about their consumers as a powerful marketing tool. But the data well is about to start drying up. 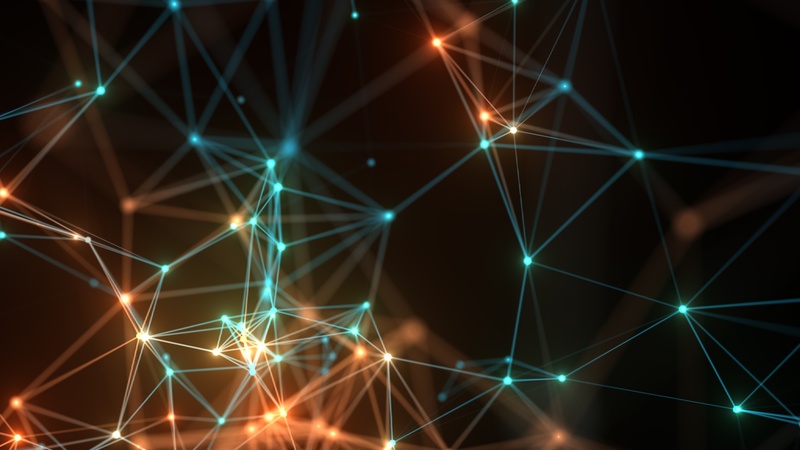 Our VP of Strategy, Greer Pearce, and our VP of Media, Kazi Ahmed, talk about the data drought and the three things brands can do right now to ready themselves for it.